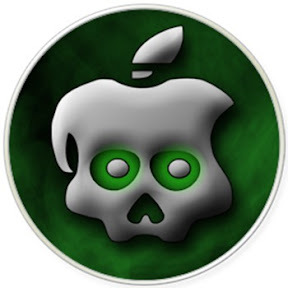 I am Therefore iPad: Which will JailBreak My iPad 2 with iOS 4.3.x: GreenPois0n, Limera1n, or SHAtter? Which will JailBreak My iPad 2 with iOS 4.3.x: GreenPois0n, Limera1n, or SHAtter? The iPad 2 is set to go on sale in a few days. Some people will ponder questions like, "Do I get the black or white iPad 2? ", "Do I get the Wi-Fi only or the Wi-Fi + 3G? ", "Do I get the Verizon or the AT&T version? ", "Do I need a case or do I get the Smart cover" and many other choices regarding their new purchase. Those questions have immediate answers available to the curious; however, there is one question that many are eager to know as well, "When will I be able to Jailbreak the iPad 2?". They will not be asking, "Can I Jailbreak the iPad 2? ", because it is not a question of "can" but rather "when". With the iPad 2, Apple is providing a new operating system called iOS 4.3 (the first iPad is currently at 4.2.x and can be JailBroken). With each release of operating system, Apple makes it their goal to patch the software to prevent the prior Jailbreak efforts. It is a game of mouse and cat, that has existed since the iPhone first hit the Smartphone scene; it continues with the iPad. Apple isn't so much the cat aggressively hunting the mouse, but more rather like the house owner looking to protect the vermin from getting into the home. Every time a new iOS device is JailBroken, Apple knows that there is a hole in their armor. The Jailbreak developers have had a head start with iOS 4.3 because a beta version has been available for a few weeks or months. Holes have been discovered, but Apple may have already closed them up when the production iOS is shipped with the iPad 2. I alway say, "If it is man made, then it can be man unmade". So even if prior discovered holes in the iOS have been patched, it is just a matter of time before new ones are discovered. There are some smart people at Apple, but there are some brilliant people that simply own a iOS device and insist on having the freedom and choices that Jail-breaking afford. With the doubled speed of the A5 chip and 9x increase of the graphics rendering, one question on everyone’s lips is: "What can this thing do when it’s been jailbroken?" Granted it’s a little early in the day to know just where Geohot and co. will take the iPad 2 in the coming weeks and months, but that isn’t going to stop us speculating! As always, proper multitasking (and not task switching found in iOS 4.x) is something iOS power users have been crying out for. With the increased power inside the iPad 2, real multitasking could work much more reliably. Apps like Backgrounder could use the iPad’s screen size and fidelity to open up new multitasking metaphors – perhaps an Multifl0w or webOS style multitasking interface can be achieved. The addition of the two cameras opens up new possibilities too. With Apple’s strict approach to the App Store, new and interesting augmented reality applications could find a home in the Cydia store. Imagine holding your iPad up like a window to the world before it. While the possibilities are endless with the iPad, Apple's tight control on the App store application makes it limited. The JailBroken iPad 2 offers opens the door of possibilities. We know that iOS 4.3 Betas had multitouch gestures built right into the OS for iPad to take advantage of. But we also know that Apple isn’t making it available to public with final release of iOS 4.3. Maybe they will with iOS 5? But those of us who cant wait should be able to enable these by tweaking some .plist files after jailbreaking iOS 4.3. Better notifications system for iOS? While iOS 5 is said to bring a revamped notification system to iPhone, iPad and iPod touch, but it wont be available at least till summer this year (WWDC, iPhone 5 launch). The recently released MobileNotifier on Cydia is one such app which can bring a completely new notifications experience on iOS platform. iPad 2 has the potential to be brilliant – or not. Time will tell, and we can’t wait to see what talented developers on Cydia can make of it. But the real question is, when are we going to see the jailbreak for iPad 2 on iOS 4.3? 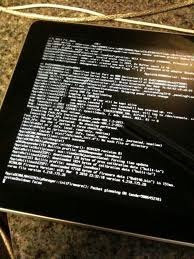 Since iPad 2 is a completely new hardware, chances are that Apple might have patched the bootrom based Limera1n exploit in this new hardware. If that’s indeed the case, then iPad 2 users won't be able to jailbreak until and unless the leaked SHAtter exploit is also not patched. But if SHAtter is also patched, then someone will have to find another bootrom exploit in the new hardware for us to jailbreak it on iOS 4.3.
p0sixninja: We’re crossing our fingers and hoping that at least SHAtter is still in iPad 2. We will of course get to know more about this on and after March 11th. Till then, stay tuned.